The Ouachita National Forest is the oldest National Forest in the southern United States. 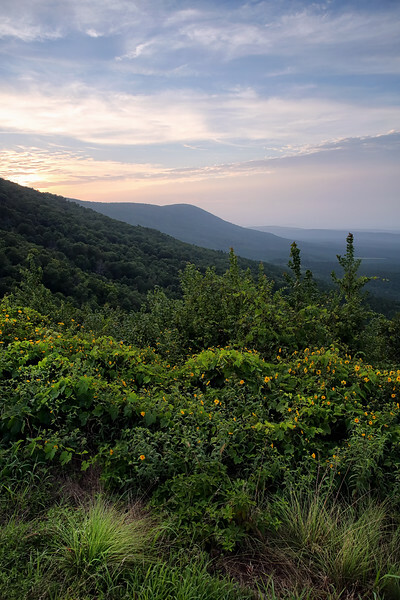 The forest encompasses 1,784,457 acres (7,221 km2), including most of the scenic Ouachita Mountains. Six locations in the forest, comprising 65,000 acres (263 km2), have been designated as wilderness areas. Ouachita is the French spelling of the Indian word Washita which means "good hunting grounds". The forest was known as Arkansas National Forest on its establishment on December 18, 1907; the name was changed to Ouachita National Forest on April 29, 1926. Rich in history, the rugged and scenic Ouachita Mountains were first explored in 1541 by Hernando de Soto's party of Spaniards. French explorers followed, flavoring the region with names like Fourche La Fave River. The area including the forest nearly became a 165,000-acre (670 km2) national park during the 1920s but a last-minute pocket veto by U.S. President Calvin Coolidge ended the effort. The bill had been pushed by U.S. Senator Joseph T. Robinson and U.S. Representative Otis Wingo, both Democrats, and State Representative Osro Cobb, then the only Republican in the Arkansas legislature. Cobb had been invited to meet with Coolidge before the proposal was killed because of opposition from the National Park Service and the United States Department of Agriculture, presumably because of the nearby location of Hot Springs National Park.